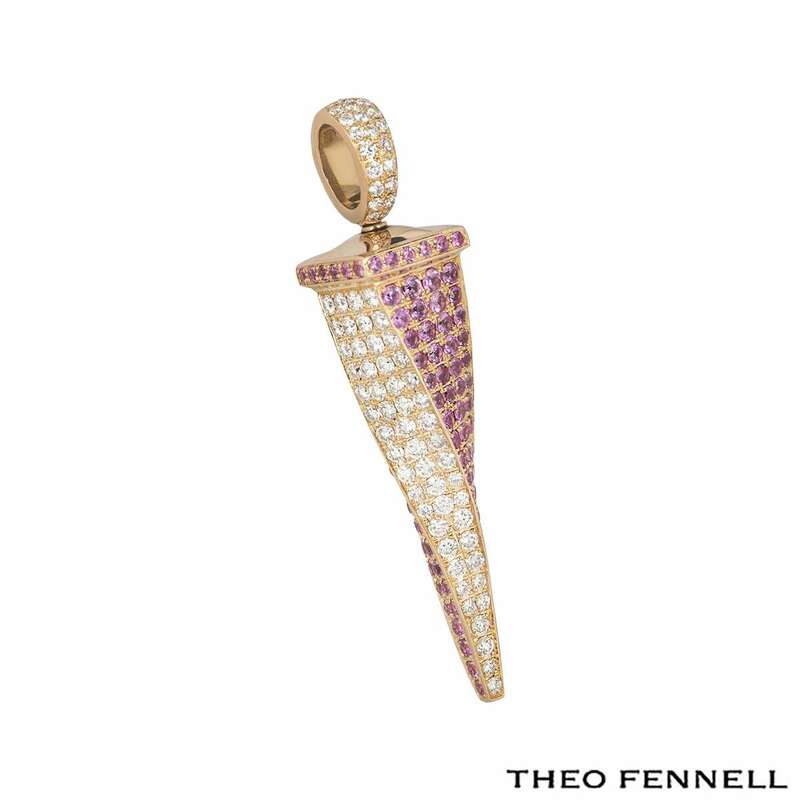 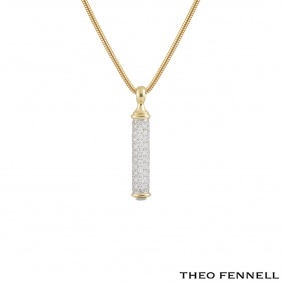 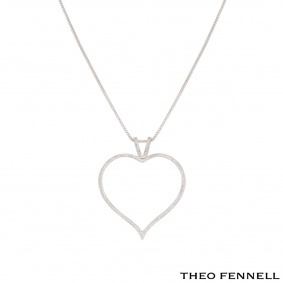 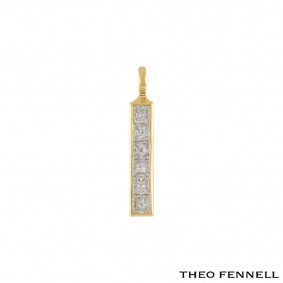 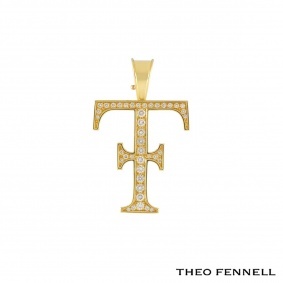 An 18k rose gold pendant by Theo Fennell. 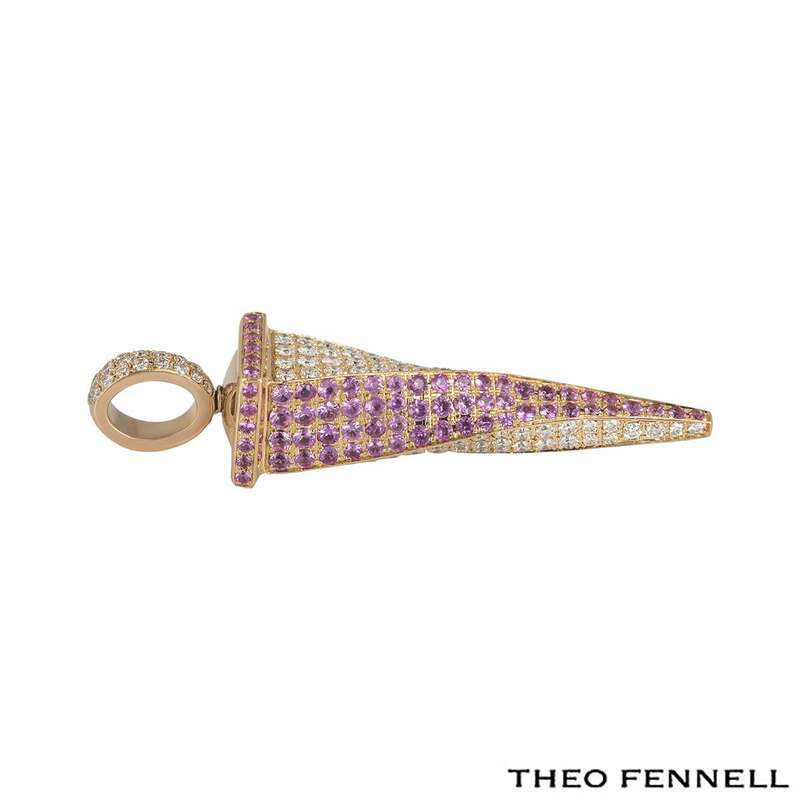 The pendant is in the style of a tooth and is set with round brilliant cut diamonds and pink sapphires. 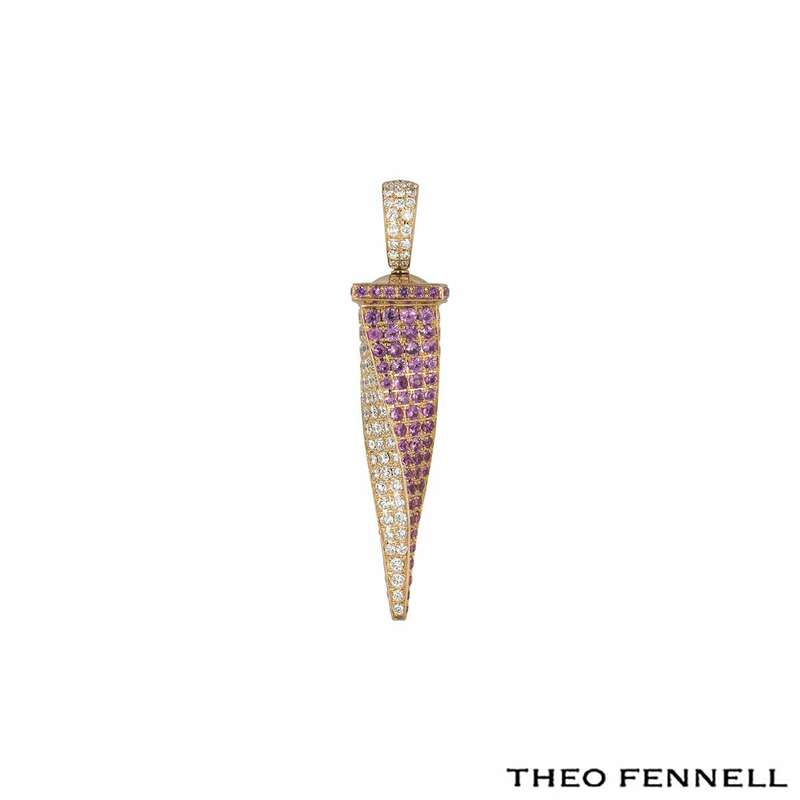 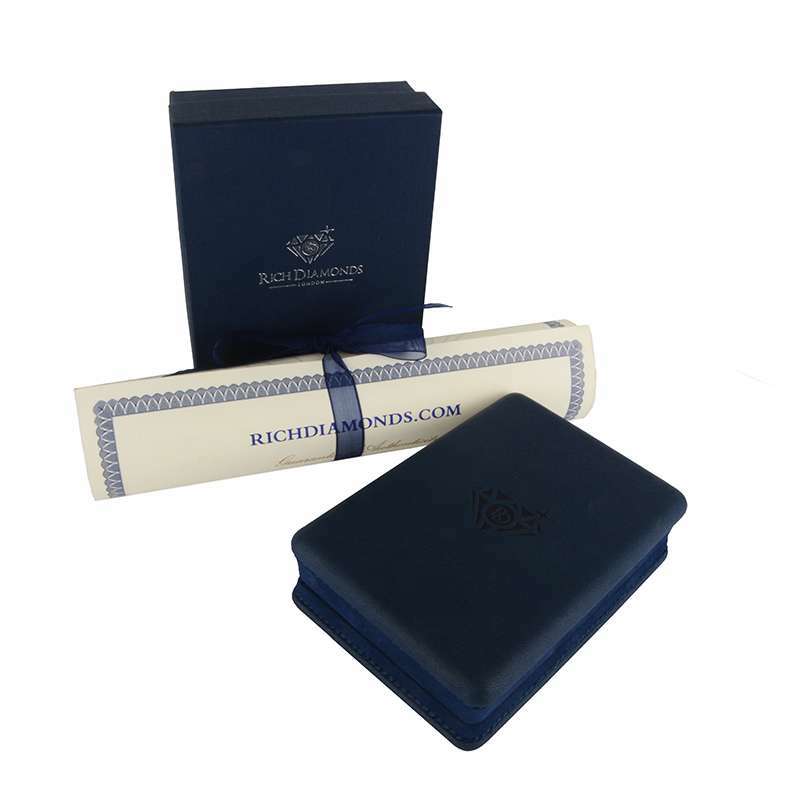 The diamonds have a total weight of approximately 0.84ct and the pink sapphires weigh approximately 0.87ct. 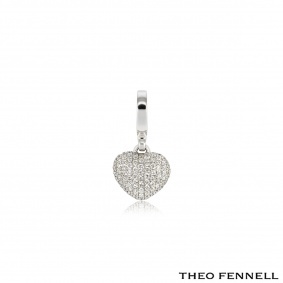 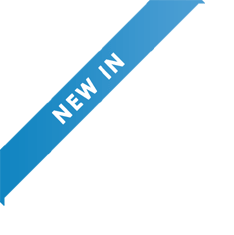 The pendant measures 4.5cm in length and has a gross weight of 6.78 grams.